For today, I had to revert to pace training because I foolishly left my pacer on and it flattened my battery. You can see that my Green Zone is quite narrow and actually, it’s a reasonable effort keeping that pace zone. This is why I need to do my Assessment Workout again. There seems to be an unhealthy appetite for rebooting films (Hulk, Evil Dead, Django etc. ), but until now, I didn’t think it affected anime that much. Then came Evangelion’s movie, OVA and (sort of) reboot, and now, I find Sailor Moon is going to get rebooted. 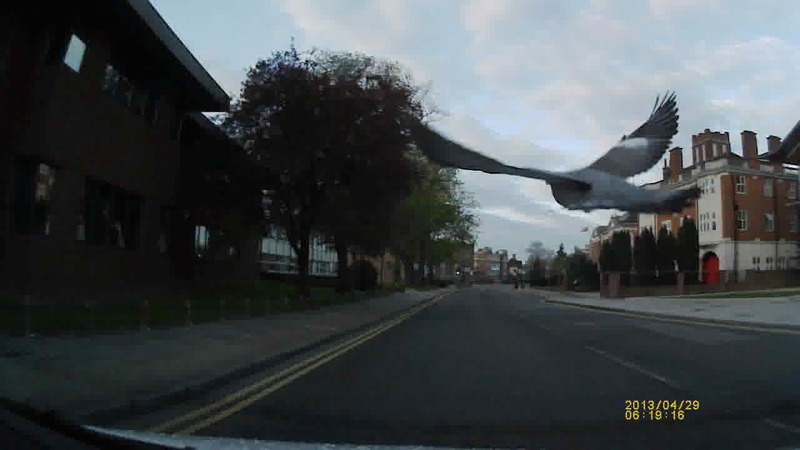 Why did the pigeon fly cross the road? This picture is a picture from my dashboard camera. It’s actually one frame from the video hence the slightly blurry appearance. Dead or Alive 5’s Newest Project Unveiled for PS3/Xbox 360 – Interest – Anime News Network. “Follow Your Passion” — have to admit, he does make some sense there. Interesting fact I found out on Saturday. Even though I’m into my fourth decade, a visit to my local dentist for a checkup revealed that I still had two wisdom teeth that hadn’t come through, and based on the angle of them, if they do come out, they will cause problems with my other teeth. And here I was, thinking all my teeth had come through already….